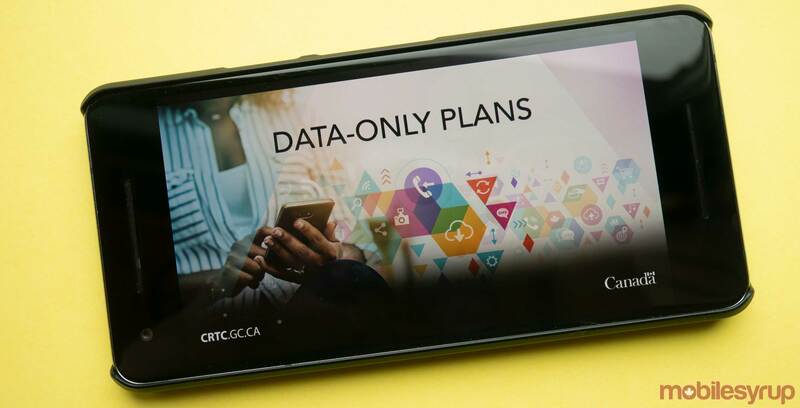 In a counter-proposal to Canadian carriers’ recent pitches for low-cost, data-only plans, a partnership of consumer groups has submitted a new, more flexible model for low-cost mobile data. The idea was put forward in a report filed with the Canadian Radio-television and Telecommunications Commission (CRTC) last week by Benjamin Klass and Dwayne Winseck for the Consumers’ Association of Canada (Manitoba) and the Aboriginal Council of Winnipeg, represented by the Public Interest Law Centre. It was submitted during the CRTC’s open period for intervening comments on Bell, Rogers and Telus’ proposals for low-cost, data-only plans, which were, in turn, a response to a March CRTC mandate. 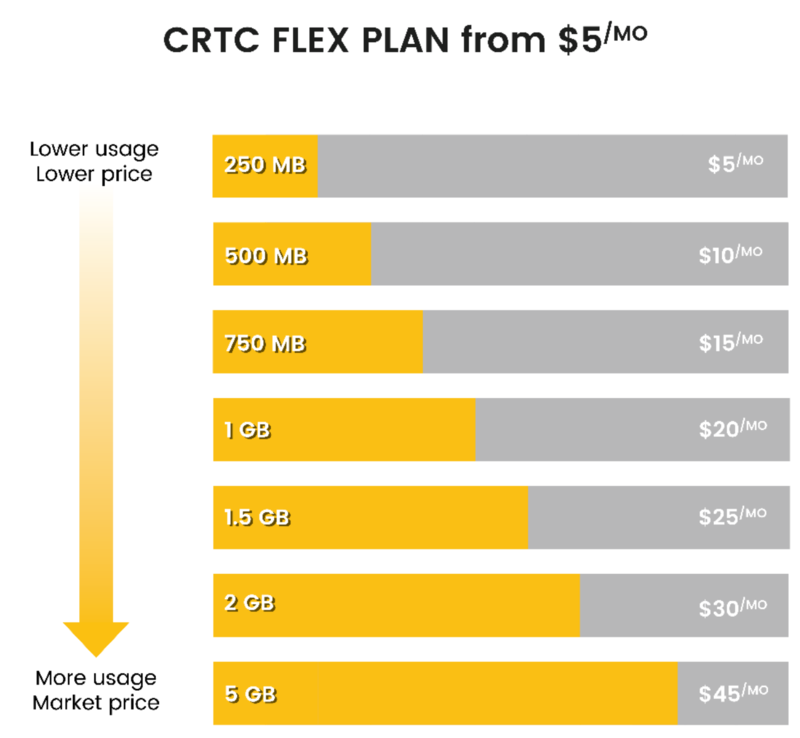 The concept, dubbed the ‘CRTC Flex Plan’ would allow people to access a small amount of data (250MB) at the entry level price of $5 CAD per month, or larger amounts of data at regular market prices. In a chart demonstrating the concept, data usage up to 500MB costs $10 per month, 750MB costs $15, 1GB costs $20, 1.5GB costs $25, 2GB costs $30 and 5GB costs $45. In addition to the suggestion, the report features a lengthy assessment of Canada’s wireless pricing and how it compares to other countries. “Our submission to the CRTC details that in the absence of a credible and affordable industry plan, the Commissioners must act to protect the public interest, and especially, low-income Canadians who are being locked out of our digital-based economy and daily activities,” said Gloria Desorcy, executive director of Consumers’ Association of Canada, Manitoba, in a statement linked to the report. Responses to Rogers, Bell and Telus’ plans, which cost $25 to $30 per month and feature 400MB to 600MB of data, have been varied among industry. In June, Iristel and Ice Wireless CEO Samer Bishay called the plans a “joke” at the 2018 Canadian Telecom Summit, and Ice maintained its opposition to the proposals in its formal intervention, asking the CRTC to reject the plans. The Bureau lauded Ice Wireless sister-brand Sugar Mobile for offering the “best choice” to consumers who purchased them. Sugar Mobile previously operated as a Wi-Fi-based wireless reseller that employed permanent use of Rogers’ roaming network for mobile data but that made f operation was effectively shutdown by the above-mentioned March CRTC decision. Shaw stated it had no opinion on the plans, but advocated for continued regulatory favour of facilities-based competition, as opposed to the opening up of a wireless reselling market. Meanwhile, Quebecor gave its support for the Big Three’s plans. As for other consumer advocacy groups, the Public Interest Advocacy Centre said the CRTC should mandate low-cost plans, but not put decision-making power in the hands of the Big Three. Canada’s Forum for Research and Policy in Communications (FRPC) stated in its intervention that there should be a public hearing on the matter, and the Deaf Wireless Canada Committee (DWCC) voiced its opposition to the Big Three’s low-cast, data-only plan proposals for the plans’ minimal amounts of data. Bell, Telus and Rogers now have a chance to respond to the interventions with their own comments, with a deadline of June 29th. Correction: This article initially stated that the CRTC would deliberate, but the national carriers actually first have a chance to submit responses to the above interventions. The text has been corrected accordingly.